The first decade of the new millennium saw a number of young female photographers take the Japanese photography scene by storm, adopting original positions, developing individual imagery and looking at the world from entirely new perspectives. One specifically Japanese phenomenon in the 1990s was “girly photography”. With its diary-oriented snapshot aesthetic, this approach documented in its entirety the life and attitude of young urban women of the time. Against the backdrop of the economic crisis and lack of career opportunities, the photographic works of the girly photographers were an important expression of female self-identification in a society that still very much retained its hierarchical and patriarchal structure. Even though many of these photographers went on to become national stars, the movement’s self-absorbed and limited thematic outlook soon also led it to be criticised as narcissistic. Ultimately, most female photographers of this generation were unable to secure a lasting foothold in the photography scene. At the same time, however, it was instrumental in giving young women access to the medium – young women who, in the years that followed, succeeded in establishing themselves as professionals of equal standing in the world of Japanese photography. This trend, entirely unique to Japan, led to an upsurge in the number of female photographers at its photographic academies and universities: at the beginning of the 2000s, around 50% of people training as photographers were women. Before long, photographers from this new generation were being singled out for the most important awards for young photography, such as the Canon Contest of Photography. The two best-known veterans of “girly photography” today are HIROMIX, who has devoted herself to photographing commercial portraits of stars and starlets, and MIKA NINAGAWA, who is now one of the most successful photographers in Japan. As well as publishing well over 30 photo books, MIKA NINAGAWA has produced music videos for one of the best-known Japanese pop groups, produced two feature films, worked together with international fashion brands and held major solo exhibitions in Japanese museums. The spectrum of her motifs ranges from portraits of Japanese and international stars to fine art works with traditional subjects such as fish or flowers. Stylistically speaking, she performs a skilful balancing act on the thin line between art and pop. With her strong sense of colour and popular motifs, MIKA NINAGAWA’s photographs often give the impression of being pure kitsch. In actual fact, they are aimed squarely at satisfying the senses and the emotions. These pictures lack the discerning subtext: “Look, I use elements of pop culture, but what I do is art, not pop!”. With this concept, MIKA NINAGAWA reaches a very wide audience in Japan, far beyond the art scene. Her books have since sold well over 200,000 copies. However, some of her application-oriented works are far more than just pop: the goldfish she photographed in gaudy colours look like grotesquely bred creatures or mutants, while the overpowering presence and colours of the flowers in her Acid Bloom series give them a highly artificial appearance. With this approach, MIKA NINAGAWA moves within the tradition of classical Japanese art, which made no distinction between applied and fine arts. The basic idea of “fine arts” that was developed in Europe only found its way into Japanese culture in the 19th century. This means that NINAGAWA’s portraits of Japanese pop and film stars can certainly be seen as being part of the tradition of 19th century Japanese coloured woodcuts. Created with exceptional craftsmanship, these woodcuts depicting actors, courtesans, sumo wrestlers or other famous figures were produced en masse for a wider public. In the West, they were – and continue to be – presented as examples of Japanese high art and exerted key influences, notably on the development of Impressionism in France. 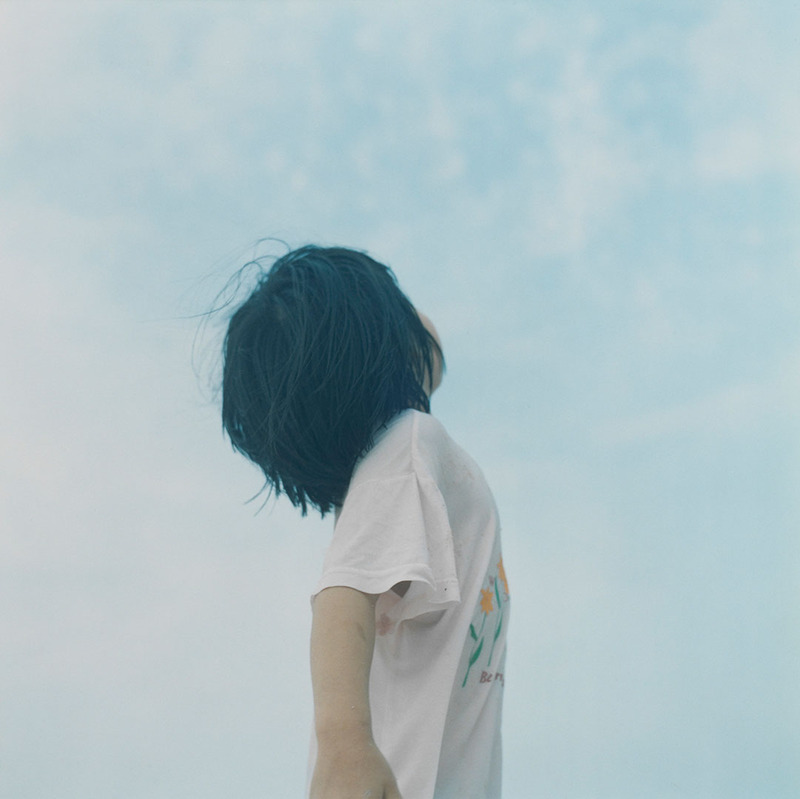 Although born in the same year as MIKA NINAGAWA, RINKO KAWAUCHI does not belong to the “girly photography” generation. In 2001, she entered the Japanese photography scene with three new books at once. Even for Japan with its highly developed photo book culture, this was a sensational debut. In 2002, one of the publications, Utatane (Nap), won the most prestigious Japanese photography award, the Kimura Ihei Award. While “girly photography” typically limited itself to the artist’s own life, RINKO KAWAUCHI’s works do not address her own life, but rather life in general. Here, she concentrates on the small, unprepossessing things that surround us in everyday life – flowers, animals, people, water, light. She takes her photographs with a traditional manually operated medium format camera, choosing fields of view that lend the photographed objects an intrinsic beauty. Her photos have a light, solid sense of colour and an exceptionally intimate character that highlights the fleeting nature of perception. Her pictures contain elements of becoming and disappearing, of birth and death. Ultimately, her work can be seen as poetic descriptions of the essence and transience of life. It is no accident that comparisons are drawn between RINKO KAWAUCHI’s photography and traditional Japanese haiku poetry. This very short form of poem aims to conjure up a brief, fleeting yet highly sensual image. One of the most famous haikus stems from MATSUO BASHO: “Old pond – frogs jumped in – sound of water”. The act of reading evokes – instinctively and spontaneously – the image of an old pond, a jumping frog and the sound of splashing water. However, having been conjured up in an instant in the mind of the reader, it disappears again just as quickly. This notion of a fleeting moment pared down to its essence can also be found in RINKO KAWAUCHI’s photographs, which give a glimpse of the brief emergence of things in the river of life. Unlike RINKO KAWAUCHI, who focuses on the fleeting perception of life and the transience of everyday things, LIEKO SHIGA explores the world of dreams, myths and legends. The starting point for her photographic works are often interviews in which she asks people about their dreams, fears and experiences that they associate with certain places. In combination with her own memories, emotions or experiences, she then creates complex, fantastical scenarios that are staged in often very elaborate forms. In 2007, LIEKO SHIGA published the shots taken in Australia, Singapore and Northern Japan in the photo book Canary. The first decade of the new millennium does not just belong to the younger generation of female photographers: at the same time, the handful of female photographers who had made a name for themselves before the advent of “girly photography” enjoyed a higher profile and produced widely regarded new series. Prime examples of these are ASAKO NARAHASHI and MIYAKO ISHIUCHI. In her 2000 series half awake and half asleep in the water, ASAKO NARAHASHI views Japan from a new, wholly unusual perspective reached by wading into the sea and photographing the coast from the water. This results in exceptional pictures combining two genres, seascape and landscape photography. While the restless water dominates the foreground, shots of coastal landscape with striking mountains or architecture can be seen in the background. ASAKO NARAHASHI’s pictures can trigger a sense of unease in the beholder: the water seems liable to crash on to the photographer/beholder at any moment – and the coast is quite a distance away. The shore and its architectural forms have shifted from the central perspective and therefore do not convey the usual impression of safety and stability – in fact, it looks as though the land could sink into the sea at any moment. This is a whole new view of Japan. ASAKO NARAHASHI’s photographs no longer show the country that has risen to become one of the most important economic powers in the world, but rather an island state which, following decades of seemingly unstoppable progress, has become unstable and is now threatened with extinction. In den 2000er-Jahren erobern junge Fotografinnen die japanische Fotoszene. Sie vertreten originäre Positionen, entwickeln individuelle Bildsprachen und blicken aus neuen Perspektiven auf die Welt. Ein spezifisch japanisches Phänomen der 90er-Jahre ist die so genannte Girly Photography. Die „Mädchenfotografie“ mit ihrer tagebuchorientierten Schnappschussästhetik dokumentiert in ihrer Gesamtheit das Leben und Lebensgefühl der jungen, in der Großstadt lebenden Frauen dieser Zeit. Vor dem Hintergrund der wirtschaftlichen Krise und mangelnder Aufstiegsmöglichkeiten im Beruf waren die fotografischen Inszenierungen der Girly Photographer ein wichtiger Ausdruck weiblicher Selbstidentifikation in einer immer noch streng hierarchischen und patriachalischen Gesellschaft. Auch wenn viele dieser Fotografinnen zu nationalen Stars avancierten, wurde der selbstzentrierte und thematisch eingeschränkte Ansatz der „Mädchenfotografie“ bald auch als narzisstisch kritisiert. Letztendlich konnten sich die meisten Vertreterinnen dieser Generation nicht dauerhaft in der Fotoszene etablieren. Gleichwohl haben sie entscheidend dazu beigetragen, dass jungen Frauen den Zugang zum Medium gefunden haben und sich in den folgenden Jahren als Profifotografinnen in der japanischen Fotowelt gleichberechtigt etablieren konnten. So stieg die Zahl der Fotografinnen an den Foto-Akademien und Universitäten im Zuge dieses weltweit einzigartigen Trends rapide an: Zu Beginn der 2000er-Jahre waren rund 50 % der Fotografen in der Ausbildung Frauen. Bald gewannen Vertreterinnen dieser neuen Generation die wichtigsten Preise für junge Fotografie, wie den Canon Contest of Photography. Die beiden heute noch bekanntesten Vertreterinnen der Girly Photography sind HIROMIX, die sich der kommerziellen Portraitfotografie von Stars und Sternchen zugewandt hat, und MIKA NINAGAWA, die inzwischen zu den erfolgreichsten japanischen Fotografen zählt. MIKA NINAGAWA hat mittlerweile weit über 30 Fotobücher publiziert, Musikvideos für eine der bekanntesten japanischen Popgruppen sowie zwei Spielfilme produziert, sie hat mit internationalen Modemarken zusammengearbeitet und große Soloausstellungen in japanischen Museen gezeigt. Die Bandbreite ihrer Motive reicht von Porträts in- und ausländischer Stars bis hin zu freien Arbeiten mit traditionellen Sujets wie Fischen oder Blüten. Stilistisch balanciert sie geschickt auf dem schmalen Grat zwischen Kunst und Pop. Mit ihrer starken Farbigkeit und den populären Motiven erzeugen MIKA NINAGAWAs Fotografien oftmals den Eindruck von reinem Kitsch. Tatsächlich zielen sie auf die direkte und einfache Befriedigung der Sinne und Emotionen. Diesen Bildern fehlt der anspruchsvolle Subtext: „Schaut her, ich verwende Elemente der Pop-Kultur, aber ich mache Kunst – nicht Pop!“. Mit diesem Konzept erreicht MIKA NINAGAWA in Japan ein sehr großes Publikum weit außerhalb der Kunstszene. So wurden ihre Bücher mittlerweile in einer Auflage von weit über 200.000 Exemplaren verkauft. Dabei sind einige ihrer anwendungsoriertierten Arbeiten mehr als reiner Pop: Ihre in grellen Farben fotografierten Goldfische sehen aus wie grotesk gezüchtete Wesen oder Mutanten, und die Blumen ihrer Serie Acid Bloom wirken in ihrer überwältigenden Präsenz und Farbigkeit wie hochkünstliche Objekte. Mit diesem Ansatz steht MIKA NINAGAWA ganz in der Tradition der klassischen japanischen Kunst, in der es keine Trennung zwischen angewandter und freier Kunst gab. Die in Europa entwickelte Grundidee der so genannten „Schönen Künste“ fand erst im 19. Jahrhundert Eingang in die japanische Kultur. Insofern können NINAGAWAs Porträts von japanischen Pop- und Filmstars durchaus in der Tradition der japanischen Farbholzschnitte des 19. Jahrhunderts gesehen werden. Diese in hoher handwerklicher Qualität produzierten Abbildungen von Berühmtheiten wie Schauspielern, Kurtisanen oder Sumo-Ringern wurden in Massenauflagen für das breite Publikum produziert. Im Westen wurden und werden sie als Beispiele japanischer Hochkunst rezipiert und hatten entscheidenden Einfluss auf die Entwicklung vor allem des Impressionismus in Frankreich. Die im selben Jahr wie MIKA NINAGAWA geborene RINKO KAWAUCHI gehört nicht mehr zur Generation der Girly Photographer. Sie betrat die Bühne der japanischen Fotoszene im Jahr 2001, und zwar mit gleich drei neuen Fotobüchern. Dies war auch für Japan mit seiner hoch entwickelten Fotobuch-Kultur ein sensationelles Debut. Eine der Publikationen, Utatane (Nickerchen), wurde 2002 mit dem arriviertesten japanischen Fotopreis, dem Kimura Ihei Award, ausgezeichnet. RINKO KAWAUCHI überwindet die für die Girly Photography typische Beschränkung auf die eigene Lebenswelt. Sie spricht nicht über sich persönlich, sondern über das Leben an sich. Dabei konzentriert sie sich auf die kleinen unscheinbaren Dinge, die uns im Alltag umgeben: Blüten, Tiere, Menschen, Wasser, Licht. Sie fotografiert mit einer klassischen, manuell betriebenen Mittelformatkamera und wählt dabei Ausschnitte, die den fotografierten Objekten eine eigene Schönheit verleihen. Ihre Aufnahmen haben eine leichte, solide Farbigkeit und einen ausgesprochen intimen Charakter, der auf die Flüchtigkeit der Wahrnehmung verweist. In ihren Bildern finden sich Elemente von Werden und Vergehen, von Geburt und Tod. Letztendlich handelt es sich um poetische Beschreibungen der Essenz und der Vergänglichkeit des Lebens. Nicht von ungefähr werden RINKO KAWAUCHIs Fotografien mit der traditionellen japanischen Poesie des Haiku verglichen. Diese sehr kurze Gedichtform soll beim Leser eine kurze, flüchtige und zugleich sehr sinnliche Vorstellung hervorrufen. Eines der berühmtesten Haiku stammt von MATSUO BASHO: „Old pond – frogs jumped in – sound of water“. Der Akt des Lesens evoziert unwillkürlich und spontan die Vorstellung eines alten Teiches mit einem springenden Frosch und dem Klang des spritzenden Wassers. Doch so schnell wie das Bild im Geist des Lesers aufscheint, so schnell ist es wieder verschwunden. Dieser auf die Essenz reduzierte flüchtige Augenblick findet sich auch in RINKO KAWAUCHIs Fotografien: Sie erhaschen das kurze Aufscheinen von Dingen im Fluss des Lebens. Im Gegensatz zur RINKO KAWAUCHI, die sich auf die flüchtige Wahrnehmung des Lebens und das Vergängliche im Alltag konzertiert, erforscht LIEKO SHIGA die Welt des Traumes, der Mythen und Sagen. Ausgangspunkt ihrer Fotoarbeiten sind häufig Interviews. Darin befragt sie Menschen nach Träumen, Ängsten und Erlebnissen, die diese mit bestimmten Orten verbinden. In Kombination mit eigenen Erinnerungen, Gefühlen oder Erfahrungen kreiert sie anschließend komplexe, fantastische Szenarien, die sie in teilweise sehr aufwändigen Inszenierungen umsetzt. Ihre in Australien, Singapur und Nordjapan entstandenen Aufnahmen veröffentlichte LIEKO SHIGA 2007 in dem Fotobuch Canary. Die 2000-Jahre sind in Japan nicht nur das Jahrzehnt der jungen Fotografinnen: Parallel dazu werden in diesen Jahren auch die wenigen Fotografinnen, die bereits vor dem Aufkommen der Girly Photography ein eigenständiges Profil entwickelt hatten, stärker wahrgenommen und produzieren weit beachtete neue Serien. Beispiele hierfür sind ASAKO NARAHASHI und MIYAKO ISHIUCHI. In ihrer seit 2000 entstandenen Serie half awake and half asleep in the water betrachtet ASAKO NARAHASHI Japan aus einer neuen, ganz ungewöhnlichen Perspektive. Sie begibt sich ins Meer und fotografiert die Küste vom Wasser aus. Das Ergebnis sind außergewöhnliche Bilder, in denen zwei Genres – das Seestück und die Landschaftsfotografie – miteinander verschmelzen. Im Vordergrund dominiert das bewegte, instabile Wasser, in der Ferne erscheinen Ausschnitte der Küstenlandschaft mit markanten Gebirgen oder Architekturen. ASAKO NARAHASHIs Aufnahmen können beim Betrachter ein Gefühl von Unwohlsein auslösen: Das Wasser scheint jeden Augenblick über der Fotografin/dem Betrachter zusammenzuschlagen, zudem ist die Küste recht weit entfernt. Das Ufer und seine Architekturen sind aus der Zentralperspektive gerutscht und vermitteln nicht den gewohnten Eindruck von Sicherheit und Stabilität – ja es scheint, als könne das Festland jederzeit im Meer versinken. Dieser Blick auf Japan ist neu. ASAKO NARAHASHIs Fotografien zeigen nicht mehr das Land, das zu einer der wichtigsten Wirtschaftsmächte der Welt aufgestiegen ist, sondern einen Inselstaat, der nach einem jahrzehntelangen, anscheinend unaufhaltsamen Aufstieg instabil geworden und vom Untergang bedroht ist.